HOME / News / What are the paths for developing hi-tech offshore services? 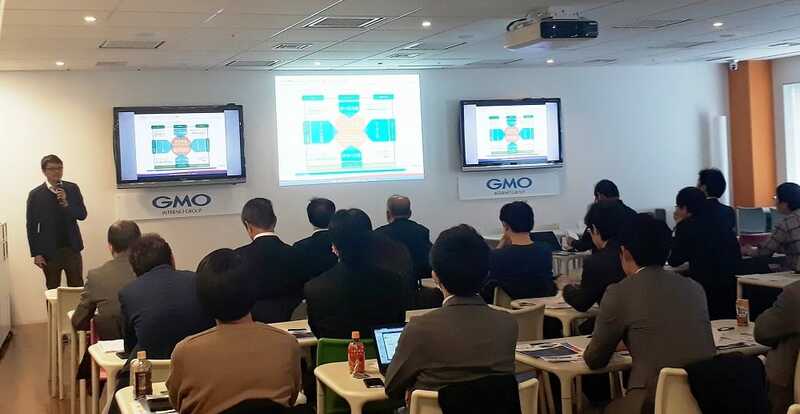 On 28/02/2018, GMO-Z.com RUNSYSTEM has successfully organized the offshore services workshop in the high technology era in Tokyo with Resorz (Japan). The seminar gave participants a glimpse into the breakthroughs in offshore digital services, opening up potential development opportunities for high-tech engineers. Software development outsourcing is an IT trend that has grown and affirmed its potential and position with businesses all over the world. Developing offshore services is no longer a new direction, but it has become a strategic alliance for the development of business to cut costs and increase return on investment. With the participation of 30 guests, the Offshore Service Workshop in the high technology era has opened up a panorama of outsourcing software development in the digital age. The most advanced technologies such as AI, Big Data, VR, AR, Block Chain, … are discussed in depth as these are the foundations of a new era of offshore services development. In Vietnam – the emerging technology outsourcing and development market in Asia, the demand for highly skilled technical personnel and the ability to work in the international environment is on the rise. The event, jointly organized by GMO-Z.com RUNSYSTEM and Resorz, provided potential partners with useful information about the future development of offshore technology services and an opportunity for a clearer direction, from which a suitable development strategy in the 4.0 era is built.